(By Lake Speed Jr.) – What is LSPI? Low Speed Pre-Ignition (LSPI) is an abnormal combustion event that can lead to catastrophic engine damage, and LSPI is common to Turbocharged Direct Injection Engines. Normally, combustion follows the spark event as controlled by the engine management system. In a LSPI event, the combustion event begins prior to the spark event, which causes abnormally high pressures within the cylinder. 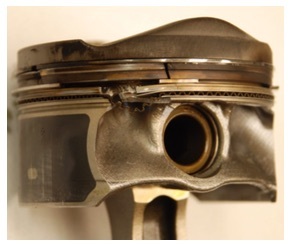 These high pressures can damage the piston. Why is LSPI unique to Direct Injection? Low Speed Pre-Ignition occurs in Direct Injected engines because of the higher compression ratio, 11.5:1 for a GM LT1 and even higher for many others, of direct injection engines and because of the shorter amount of time the fuel has to vaporize. A typical direct injection engine has less than 160 degrees of crankshaft rotation to atomize the fuel compared to over 320 degrees of crankshaft rotation to atomize the fuel in a traditional port injection or carbureted engine. The combination of higher compression and shorter atomization time make direct injection engines more prone to abnormal combustion events such as LSPI. How does fuel atomization and vaporization effect LSPI? As crazy as it may sound, engines don’t burn liquid fuel. I know the gasoline that goes in the tank is a liquid, but the engine must convert the liquid fuel into a vapor in order to burn that fuel. Just like boiling water changes the water from a liquid state into a gas, an engine “vaporizes” the liquid gasoline by spraying the fuel as a fine mist into the hot and turbulent air moving through the engine. This process is typically called atomization, and it is simply the conversion of the fuel from a liquid state into a vapor. If the fuel doesn’t turn into a vapor, then the engine can’t burn the fuel. Some of that unburnt fuel finds its way into the crevice between the top of the piston and the upper ring land where it mixes with the motor oil that lubricates the cylinder walls. This mixing of the liquid fuel and motor oil is where things begin to go bad chemically. How does oil chemistry effect LSPI? It is also important to mention that DI engines create soot, just like a Diesel engine. 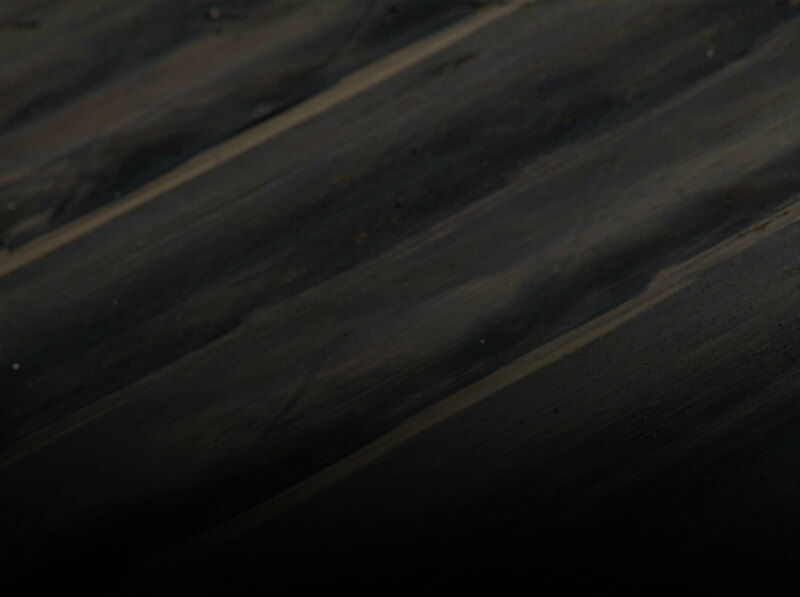 The soot created in a DI engine can lead to increased abrasive wear in the engine. Because DI engines offer both fuel economy and emissions advantages, the US Department of Energy provide a research grant to Oak Ridge National Laboratory to investigate ways to overcome the current limitations of DI engines and mainstream motor oil chemistry. These challenges pushed Oak Ridge National Laboratory to seek out a lubricant development partner that could supply small volumes of custom motor oil formulas and had a keen understanding of engine hardware. This led Oak Ridge National Laboratory to contact Driven Racing Oil to provide these custom formulated motor oils. Driven partnered with EFI University and even invested in their own direct injection engine, a GM LT1 engine, to quantify the results of formulation, tuning and hardware changes in a high performance direct injection engine.